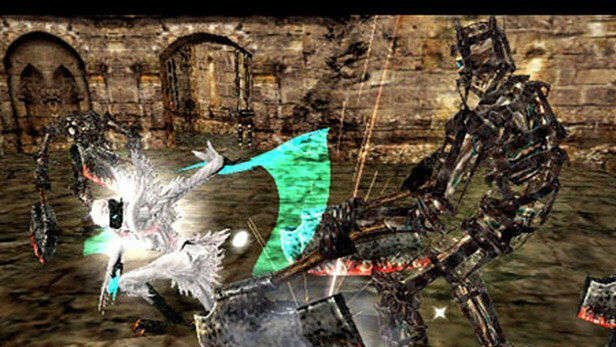 Devil May Cry 2 is a 3D action adventure game that was initially released for the PlayStation 2 in 2003. It consists of a series of mission and while the plot is somewhat convoluted, the ultimate goal is to defeat an evil demon. 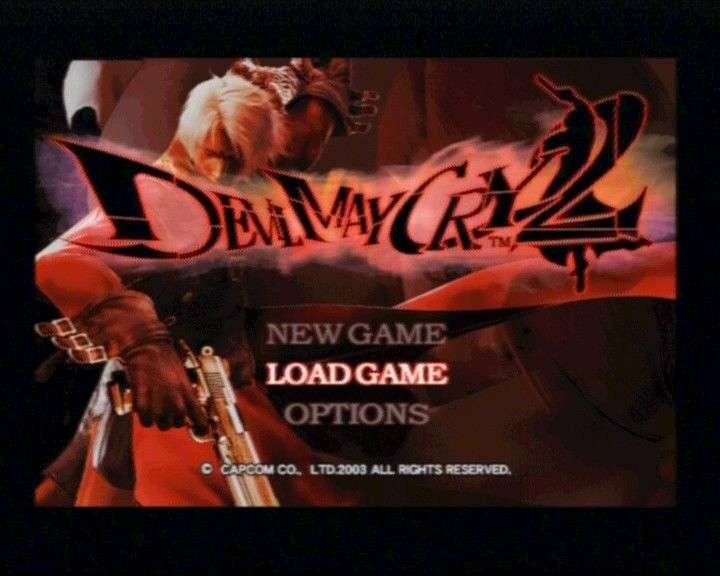 As a sequel, Devil May Cry 2 was somewhat of a disappointment. Judged on its own merits however, it was a pretty decent game. The most unique thing about the game is probably the fighting “style” system. Part of how your performance is judged in the came is based on your fighting style. Basically, the more hits you get on your enemy without being hit yourself, the higher your style rating. Relatively short button sequences are translated into rather complex moves. While this game was originally released in 2003, it has been updated along the way and also released for the PS3, PS4, Xbox 360 and Xbox One so it isn’t too hard to find in one form or another. 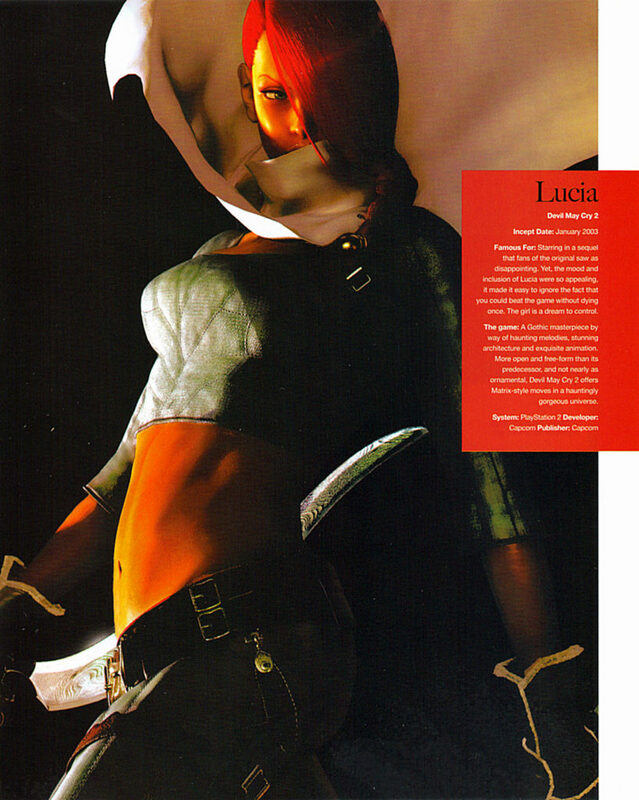 The image at the top is from Play Magazine’s Girls of Gaming and features Lucia who was new to the sequel. 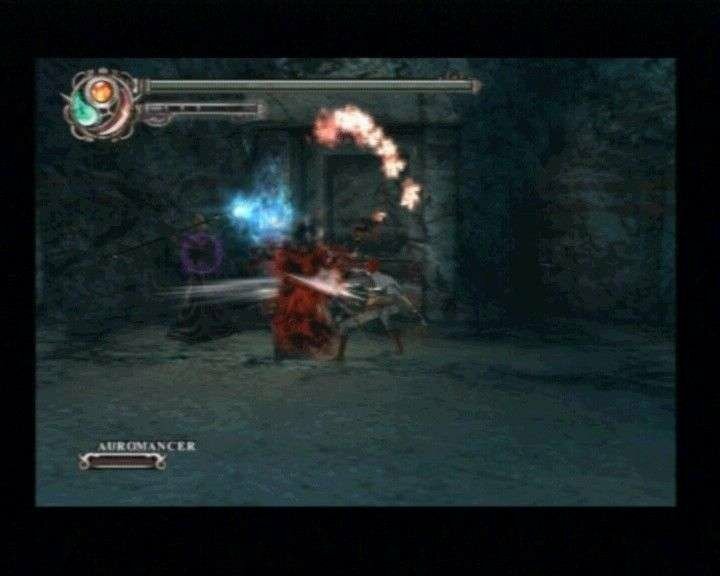 Screen shots are from the PS2 version of the game.